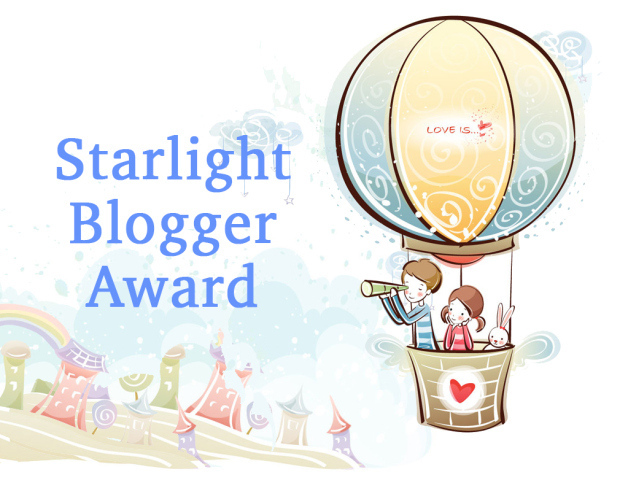 Today I have something a bit different for you all as I have been nominated for The Starlight Blogger Award! I was nominated by the lovely LuluLoveLash and I could not be more surprised! Huge thank you to Lulu - I know if she hadn't have nominated me first I would definitely have been nominating her! 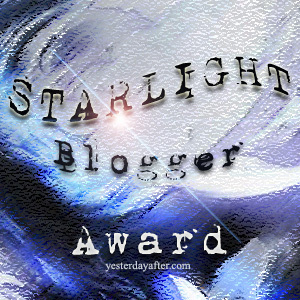 Now I did a bit of research into The Starlight Blogger Award as I had never heard of it before (I'm still new to all of this! haha) and I found out it was created by a blogger called YesterdayAfter back in June to promote and honour those individuals who are inspiring, creative bloggers. Her exact reasonings were "I want to celebrate the creative bloggers who have truly inspired me and others through their beautiful and original content, imagery, art, abilities, and wonderful personalities. I wanted to create this Award as token of love and appreciation and encouragement so please spread the love and pass it to other deserved Bloggers!" I think this is a truly amazing way to share the love in the blogging community and help to support and build each other up! I also just want to mention - I have noticed the actual award image has been changed - so I will insert both images as not to offend anyone and then if my nominations decide to write a post they can choose which ever image they prefer! Now I shall stop babbling and get on with the award! 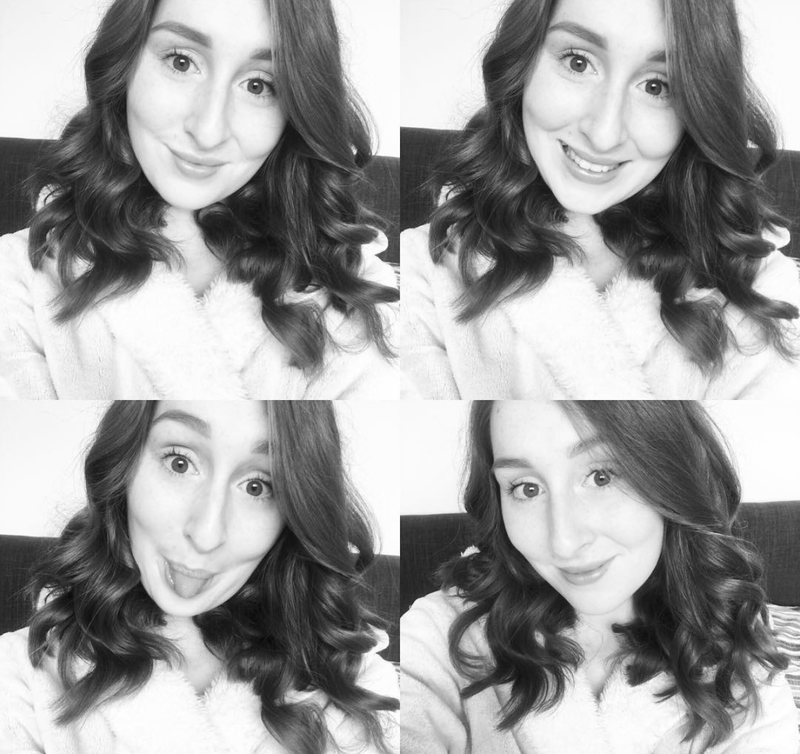 I started my current blog on the 18th April 2014 - so over a year ago now! (Although I did previously have one a year or so before which had about 5 posts on it and I deleted it because my heart wasn't really in it!) My very first reasoning for starting a blog was simply because since 2011 I have watched YouTube and read blogs religiously! I personally preferred to watch YouTube over reading blog posts but did enjoy both! Then came the point I wanted to be part of it all and try and do it myself but I was simply too nervous to start a YouTube channel and found it much easier to type my thoughts and feelings as this could be simply edited and changed in comparison to filming me sat talking to a camera which would have had to be re-filmed and re-editied if I majorly messed up! Originally this was all a way to keep me occupied and happy as I was struggling quite badly with my anxiety and I didn't have a very strong or solid friendship group. If I'm quite honest I felt quite alone and lonely in my little anxiety riddled bubble! Blogging was my getaway! Now I run both this blog and a YouTube channel and since March this year I have managed to post once a week every week on here and at the minute this seems to be working for me! I feel much happier and I love the whole community! 2. Name your favourite clothes and then your favourite cosmetic shop, why do you favour these? My favourite clothes shop is New Look - I think this is simply because pricing is relatively reasonable - in comparison to places like Topshop (not knocking Topshop - I love their stuff but I'm on a budget y'no?) - yet quality is pretty good at the same time - in comparison to say Primark where it's super cheap but sometimes items only last a few washes (again not knocking Primark - I love it there but sometimes I like to wear an outfit more than twice before I have to throw it away and my mum isn't the best washer! haha! She'll kill me for writing that on here!) Anyway, New Look seems to be an all round winner in terms of price, quality and style so I'd have to go with them! Now my favourite cosmetic shop! As boring as it may sound I would have to say Boots! They simply have all the main drugstore brands and are pretty easy to come by! I have yet to try any high end makeup other than if Benefit counts (which I would personally say it doesn't) so I can't say anything like Mac. One day maybe! 3. Can you tell me a fact about yourself that not many people know? The fact that not many people know about me is simply that I used to be ambidextrous which means I used to be able to use both my left and right hands for anything equally as well. However! The primary school I went to between year 1 & 5 (I moved to a different school for year 6) told me off whenever I used my left hand so now I am right handed! Super strange - not sure what they had against lefties! Which is a shame because I think it would be pretty cool to be able to use both hands to write! 1. If you could tell one thing to your younger self what would it be? 2. What is your biggest dream/goal in life?